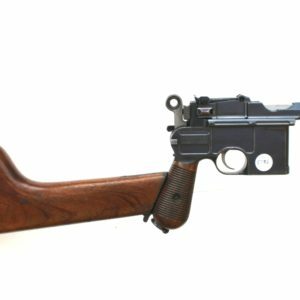 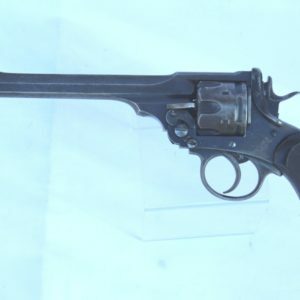 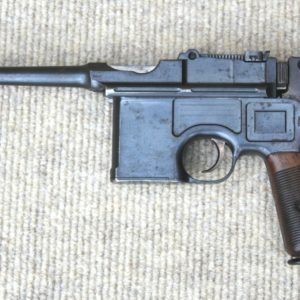 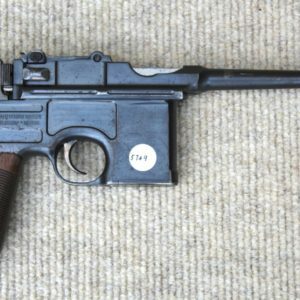 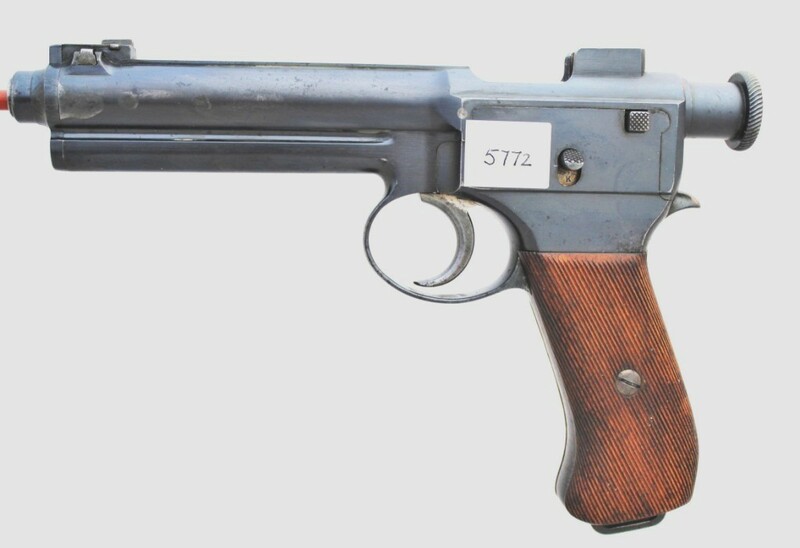 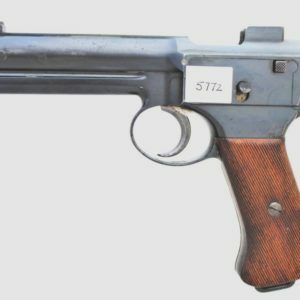 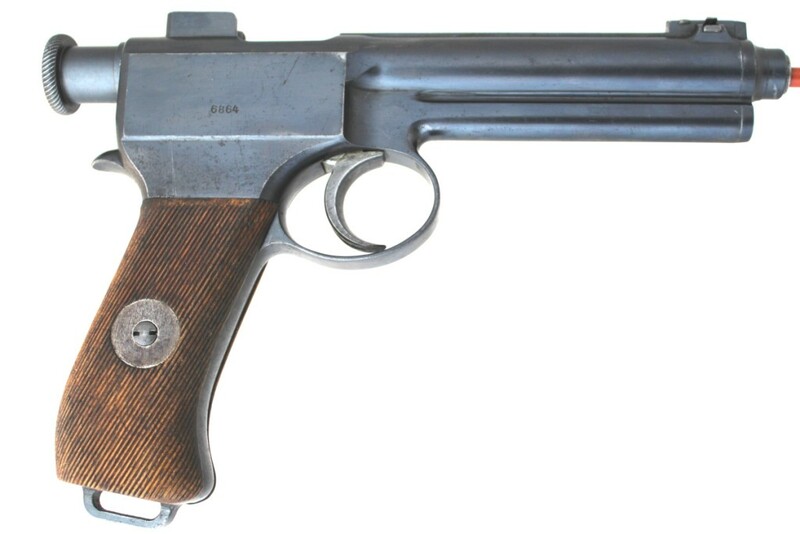 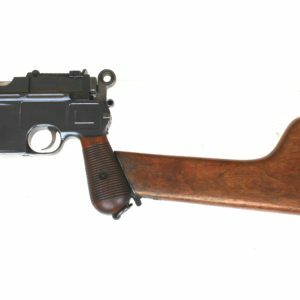 A good 8mm M1907 Roth Steyr cavalry auto-pistol marked Waffenfabrik Steyr to the top flat with Austrian imperial proofs to the back of the frame. 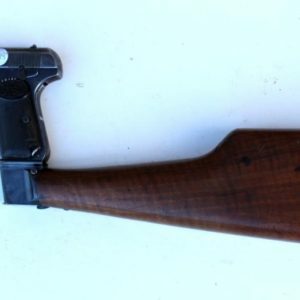 The number is 68**. 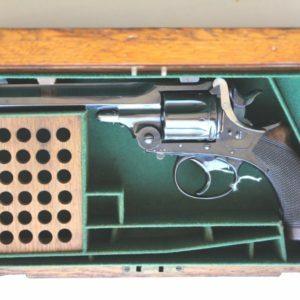 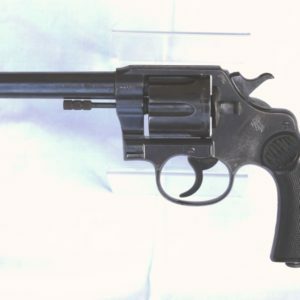 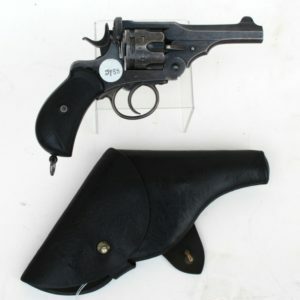 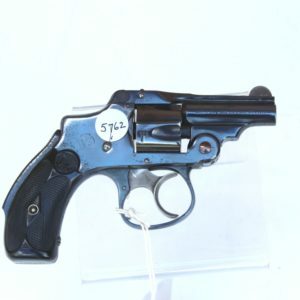 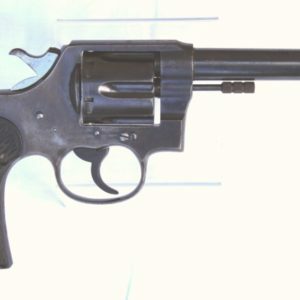 Condition: The pistol externally retains some 85% of its original blue colour. 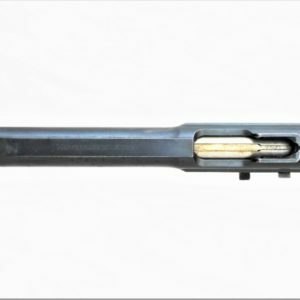 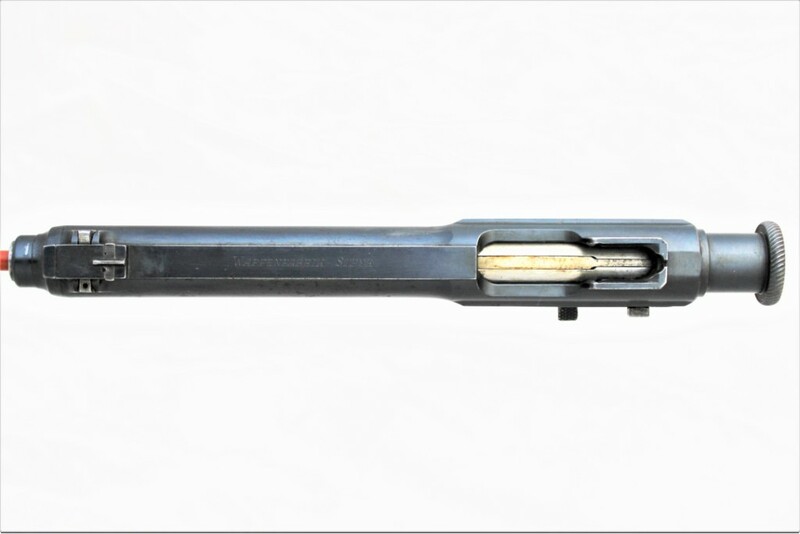 There are several small grinding marks to the left of the barrel group and at the muzzle where rust appears to have occurred; possibly where blood may have fallen. 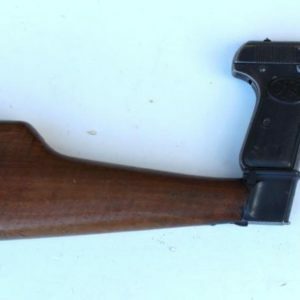 The ribbed wooden grips are in very good condition throughout with no sign of wear or damage. 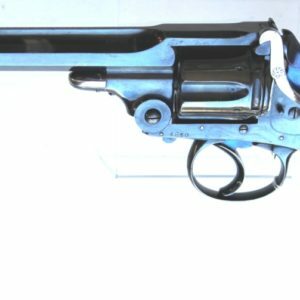 The bore is excellent. 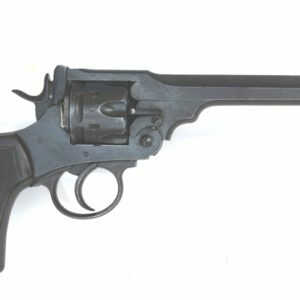 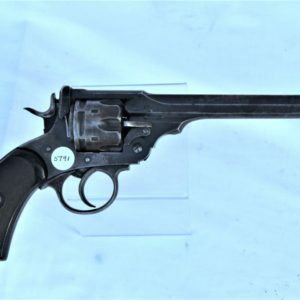 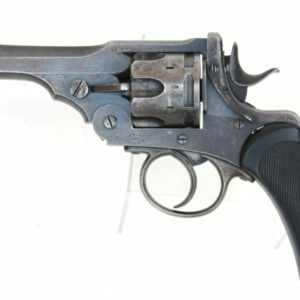 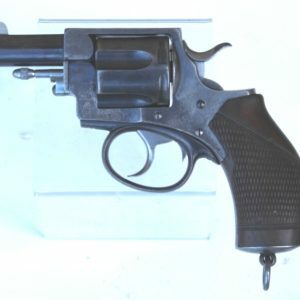 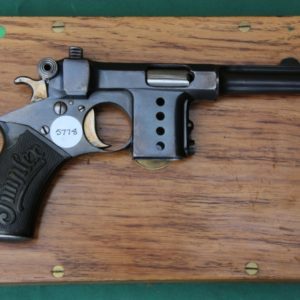 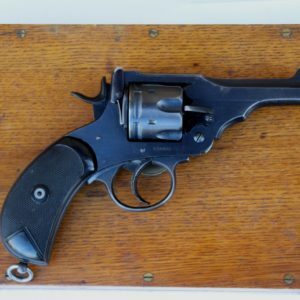 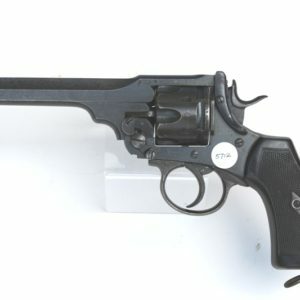 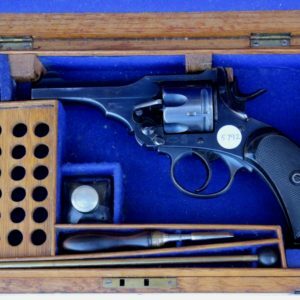 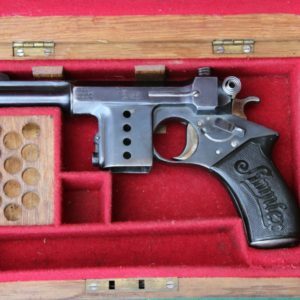 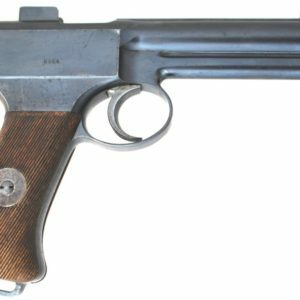 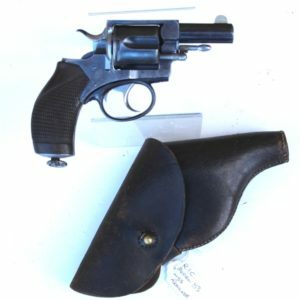 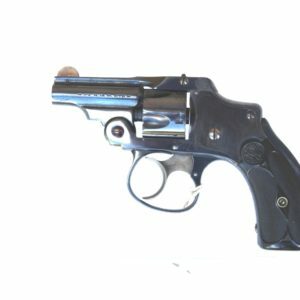 This is an opportunity to acquire one of the scarcer and more unusual early 20th Century automatic pistols.